And now I have to learn SnapChat. I don’t have a clue about SnapChat. When it first came out, I derisively called it SnatchChat, but now it seems that everyone from 12 to 24 is living on it. Frankly, I don’t get it, but I better ramp up soon or I will be left in the communication dustbin. I never warmed up to Twitter or Instagram, but I do frequent YouTube. Facebook and LinkedIn are now for the over 40 crowd, so I amble through them from time to time – but SnapChat – that’s just a little too much to take. Therefore, recognizing my own shortcomings [and those of everyone I have surveyed today that is over 50], we are launching a new professional service called the SnapIt Crew. 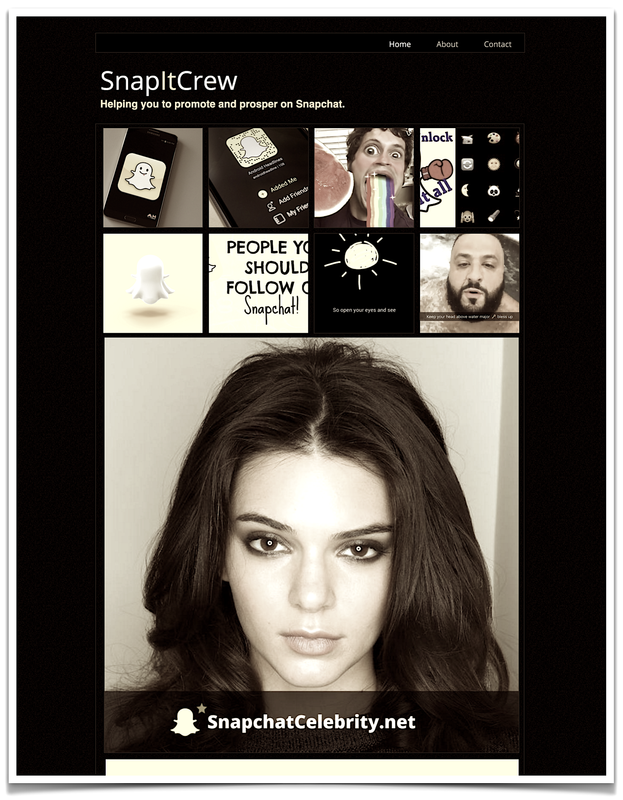 The SnapIt Crew will help individuals and businesses navigate the SnapChat environment. The SnapIt Crew will focus on positioning, promoting, advertising, and monetizing the SnapChat environment for your business or professional service. Over the next several weeks, we will be assembling the SnapIt Crew. If you [or anyone you know] is interested in being part of the SnapIt Crew, stop by Tony Walker & Co, email me at tonywalker13@yahoo.com, Skype me at tonywalkernaples, or SnapChat me at tonywalker13.